← [ Live At 11 : 50 AM] Realme Backpack At Rs. 1/- Only. Get Gaana+ Premium Subscription Of 3 Months In Just Rs.6. Free One Months Subscription In Gaana App. 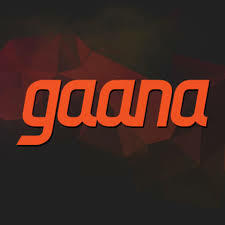 1 Free One Months Subscription In Gaana App. Now Go To Settings Then Select Redeem Coupon And Enter That Paytm Code And Click On Continue That’s It. 1. The customer will get 3 months Gaana Plus subscription for free. 2. Valid at Gaana app. 4. The offer is not valid for an existing Gaana Plus member. 5. The voucher is valid for once per user. 6. The offer is not transferable. Gaana+ users can download unlimited songs on up to 5 devices. You can download individual songs, full albums, or full playlists. As long as you’re a subscriber, you can keep listening to music that’s been downloaded. If your subscription ends, you can still listen to the music by streaming it, but you can’t access the downloaded versions unless you re-subscribe. you can use referal code “ANK6N2J” and get 1 month free subscription. THJS CODE GIVE U 30+ DAYS FREE TRIAL SUBCRIPTION!!!!!! Don’t use App, use Link and steps given in article, don’t need to pay a single Rupee. Just follow as said.